OTTAWA – The Canada Mortgage and Housing Corp. says it expects housing starts in 2015 to be about the same as they were this year, and in line with economic and demographic trends. The national housing agency says “some moderation is expected” in 2016.The CMHC says that on an annual basis, it expects housing starts to range between 186,300 and 191,700 units in 2014, with a point forecast of 189,000 units. 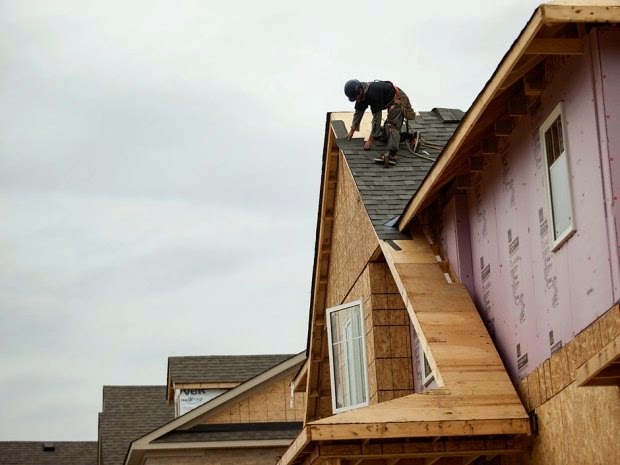 Next year, the agency says it expects housing starts to range between 172,800 and 204,000 units, with a point forecast of 189,500 units.In 2016, the CMHC says it expects housing starts to range between 168,000 and 205,800 units, with a point forecast of 187,100 units. Click here to read more about the housing starts in 2015.